Bad Boys Blue was formed in the summer of 1984 by German producer Tony Hendrik and his lyricist wife Karin Van Harren. Hendrik was looking to create an alternative to the hugely successful German group Modern Talking. Ironically, Dieter Bohlen, mastermind and song writer of Modern Talking, is often incorrectly credited with developing their signature sound and being their producer. 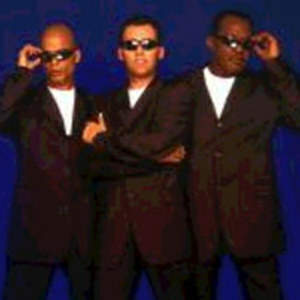 The original trio comprised of American Andrew Thomas, British John McInerney, and Jamaican Trevor Taylor - the original lead vocalist. In 2005 Thomas and McInerney split under less than amicable circumstances. Carlos Ferreira joined John McInerney in 2006 and new material is said to be forthcoming from this, presently Poland-based, duo. Andrew Thomas also formed a version of Bad Boys Blue with former member Kevin McCoy and singer Herb McCoy but they are not signed to any record label. The question of who gets to officially use the Bad Boys Blue brand name has not yet been resolved.